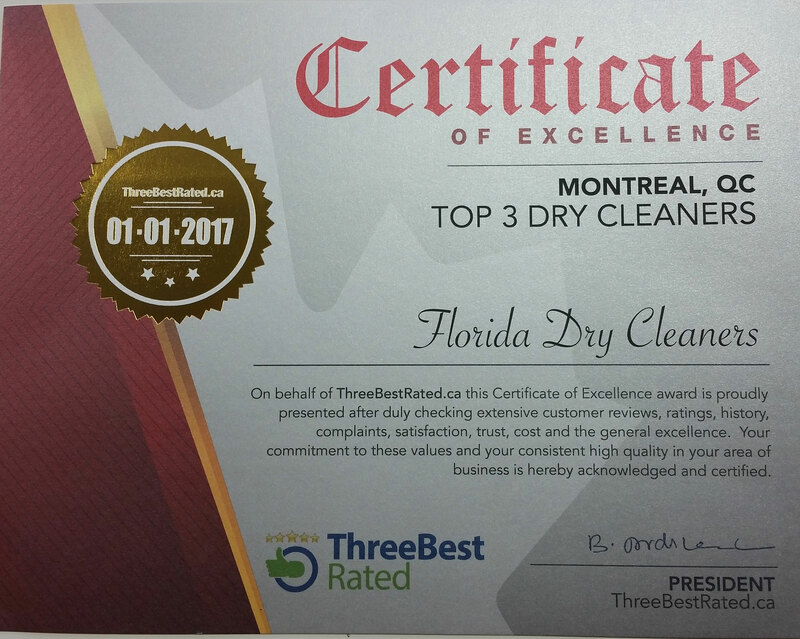 Florida Dry Cleaners was established in 1986 at Montreal, QC. 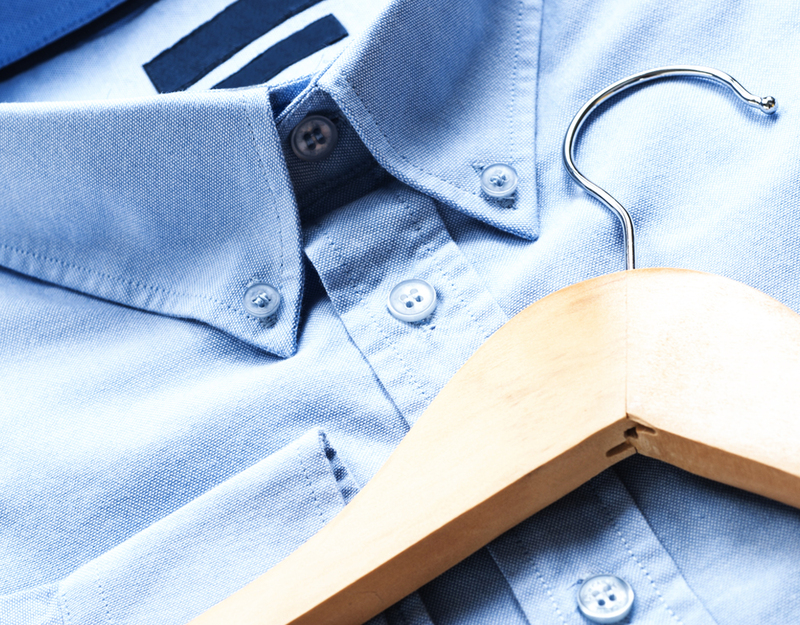 Located Downtown Montreal, at the heart of the McGill Campus, we provide the best Dry cleaning services in Montreal. 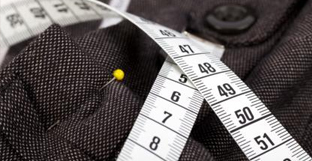 Whether you want your dry cleaning done the same day or tailor expert for alterations & clothes repairs, we are the best dry cleaning service in Montreal with years of dedicated experience in the clothes cleaning industry. 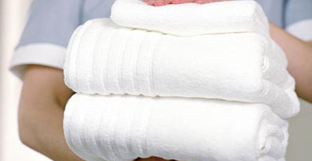 Whether you are in need of dry cleaning, clothes alterations, or you are in need of Laundry Services such as our Wash Dry & Fold service, we can provide you with your each and every cleaning need. Anytime you need us just give us a ring at 514-849-9119. We will always be ready to serve you with our on timely services. It is the quality and dedication of our professional cleaners that customers always come to get our services. We give full guarantee in our services; we guarantee that you will be completely satisfied by using our services. 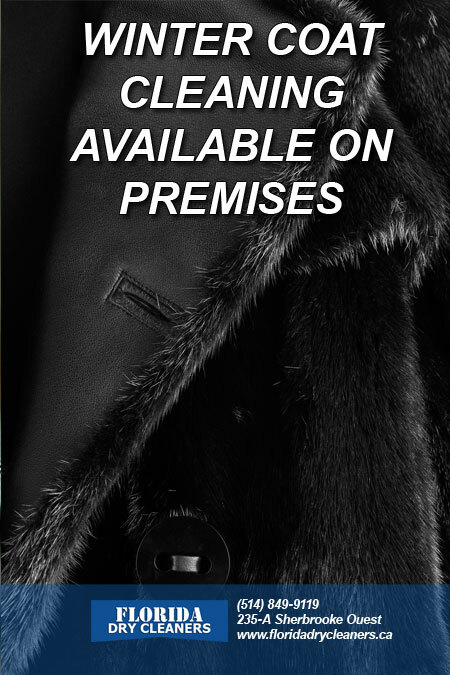 Since 1986 we have been providing the finest quality dry cleaning service to households and businesses in in Montreal, QC and the surrounding area. 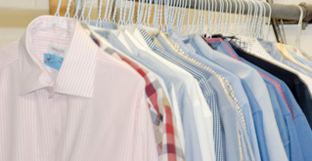 Florida Dry Cleaners offers laundry services for shirts and other washable items. 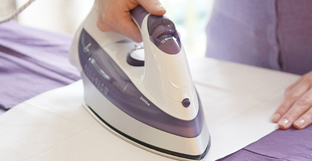 The care label of an item determines the cleaning process that is used. $2.50/pound, 10 pounds minimum. We do the process of making clothing to fit an individual, and differs considerably from alterations made to a ready-made piece of clothing. Our range of services combined with high tech products we have for several years ranked among the top in the industry, as evidenced particularly satisfied many of our customers. 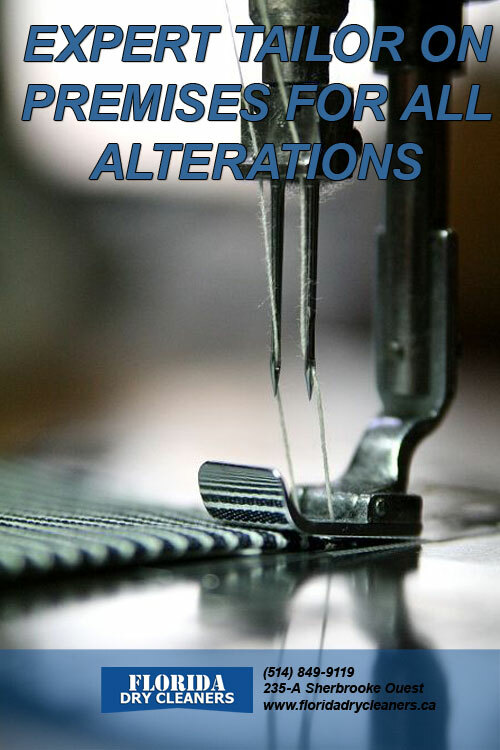 Florida Dry Cleaners on Site Alteration process has been perfected for generations, spanning 3 continents! 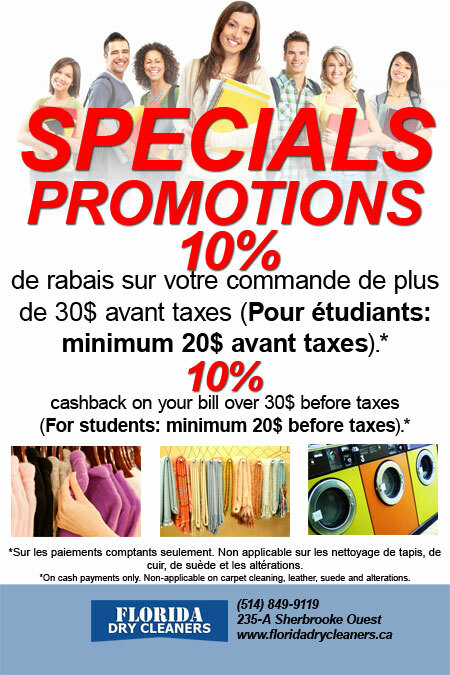 Call us at 514-849-9119 for more informations.